Christmas is all about aqua at my house. Shocking, huh? Every day is all about aqua at my house. But this year, I went even a little bolder than I normally do. Yet simple. All at the same time. What the huh? 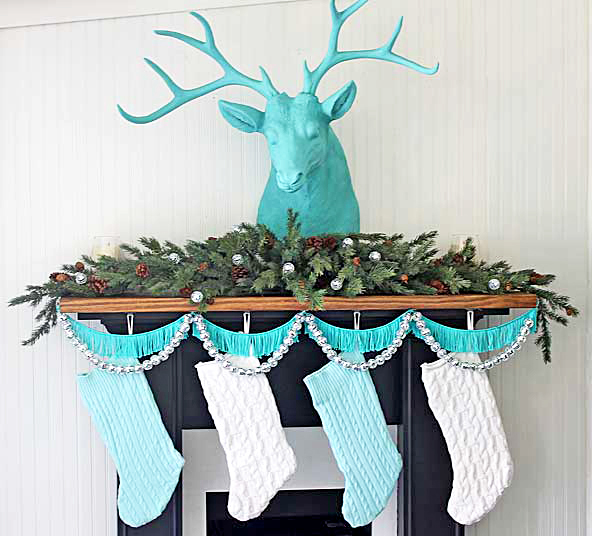 Yeah, I decided to do just a couple of big impact bits that really showcase the things I love – and so this year my Christmas Mantel was all about three things: aqua, deer and disco balls. A couple of my Instagram friends run a lovely online shop and sent me the super sweet gift of the deer head. 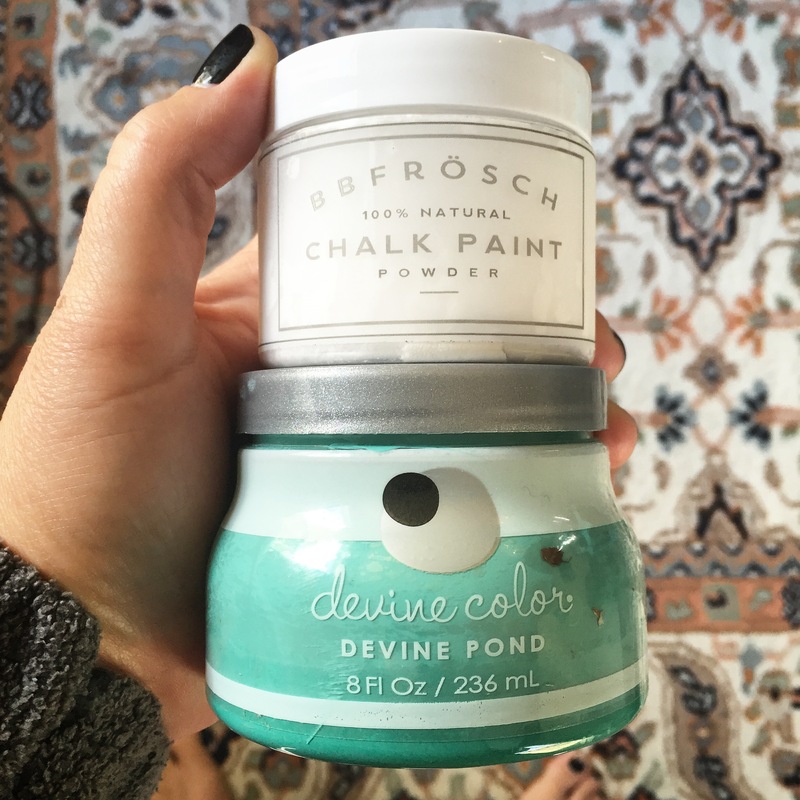 But he was kinda brownish/creamish – which totally didn’t go with my decor. 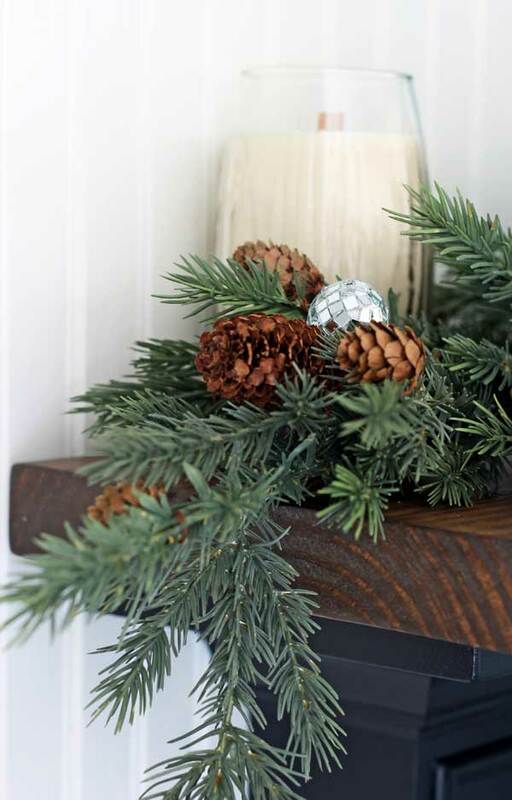 Then I hung him on the wall and added in greenery – with a touch of disco balls of course. And some stockings made from thrift store sweaters that I’ve had a few years now. See, I told you it was simple! Want even more holiday ideas? I’m joining my friends Jenna, Caitlyn, Kelly and Jen this year to bring you a week that’s chock full of Christmas ideas! 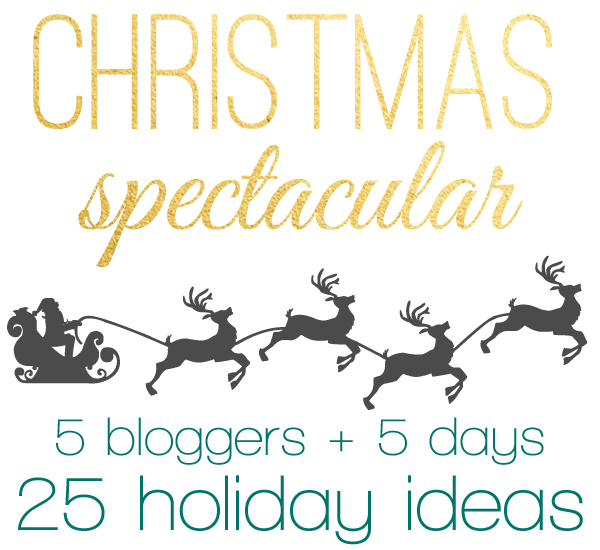 5 Bloggers + 5 days = 25 holiday ideas. See, we’ve got you covered! PS – If you’re a blogger be sure to stop by on Friday, we’re hosting a link party for YOUR holiday ideas! 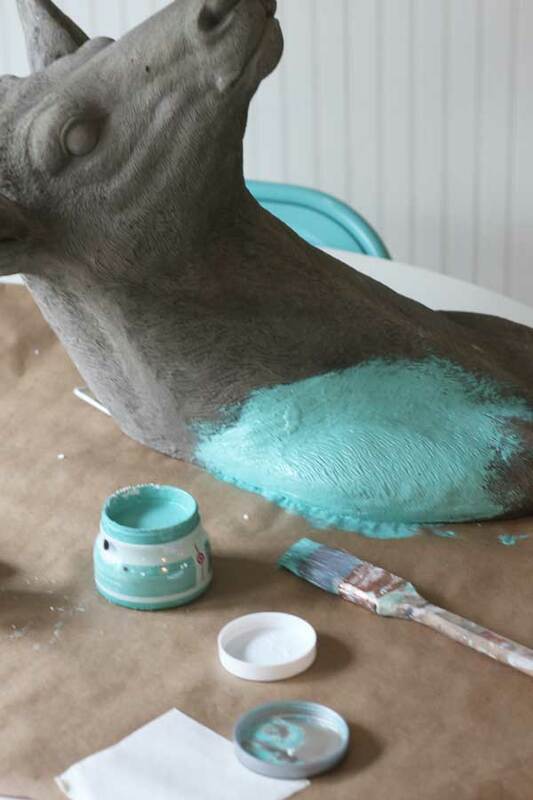 It all looks fantastic Gina, I have also used the aqua color in my home this year. It looks great! Love the bright color and the bling with the disco balls!